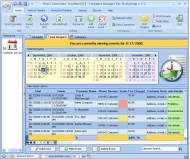 Easily Convert Contacts and groups WAB Address Book to Outlook. Barcode label maker software easily generates colored and stylish barcode images in bulk with the help of constant value, random and sequential series methods. Dedicated barcode labeling tool supports all major font standards including 2D and linear.